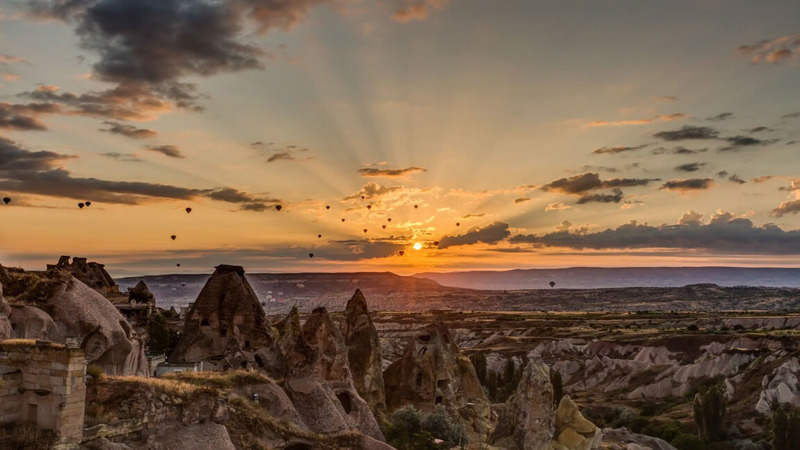 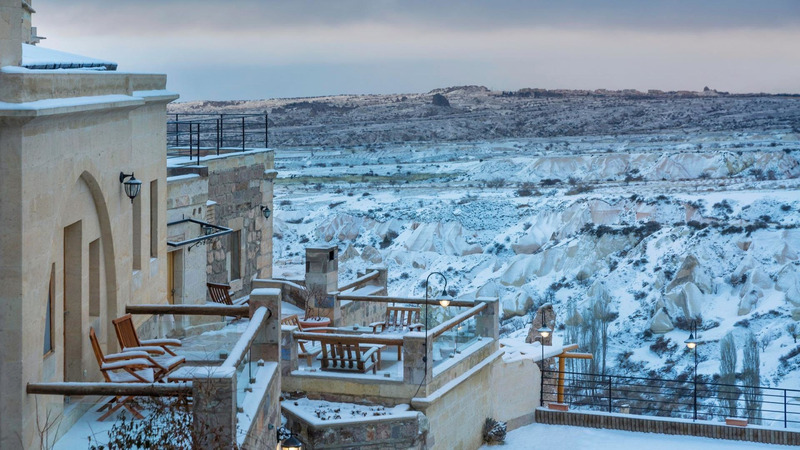 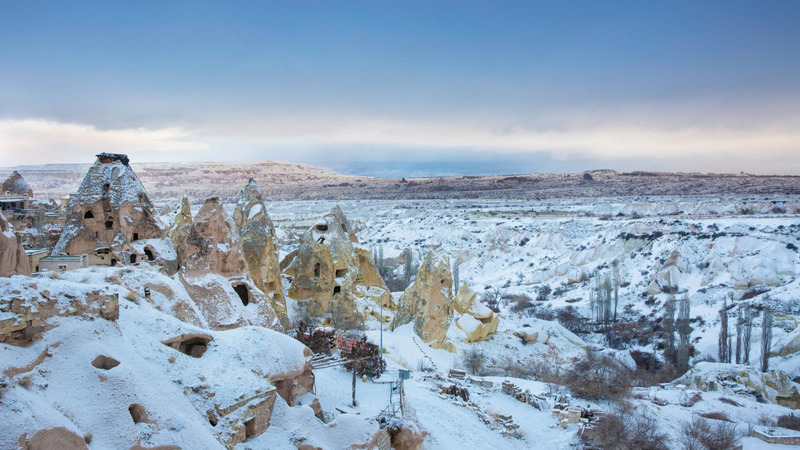 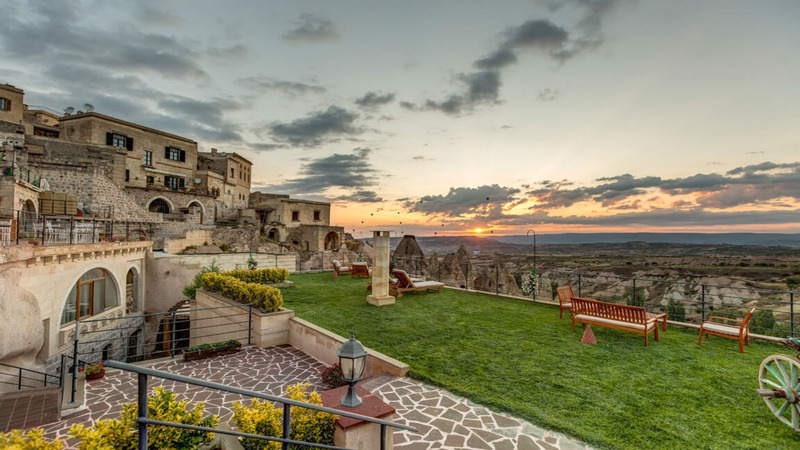 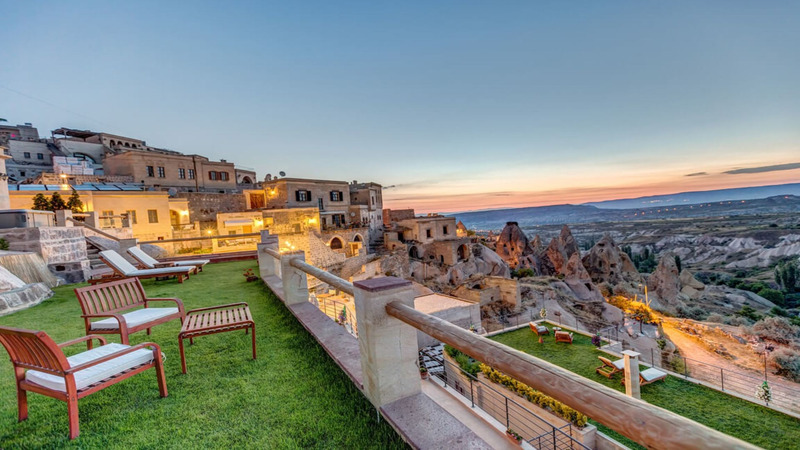 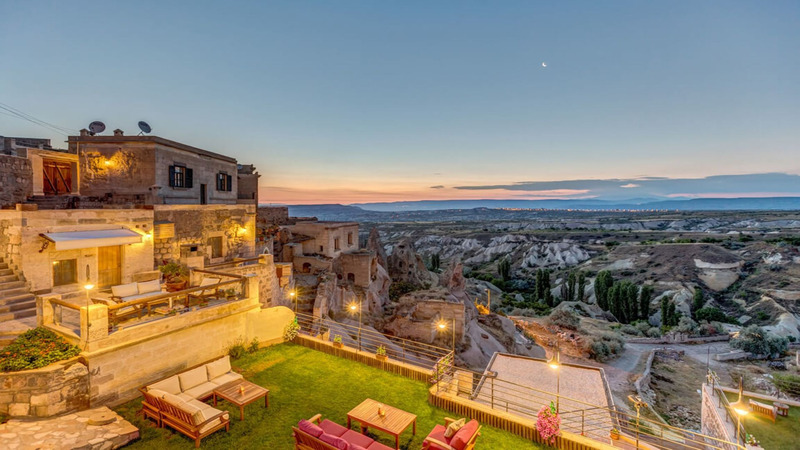 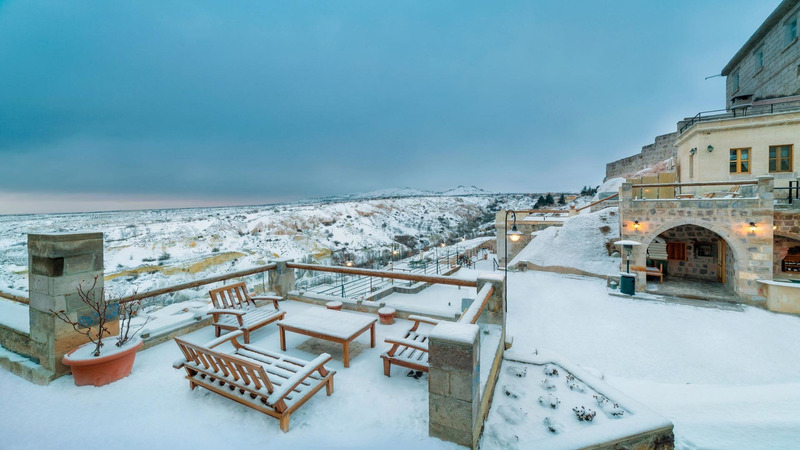 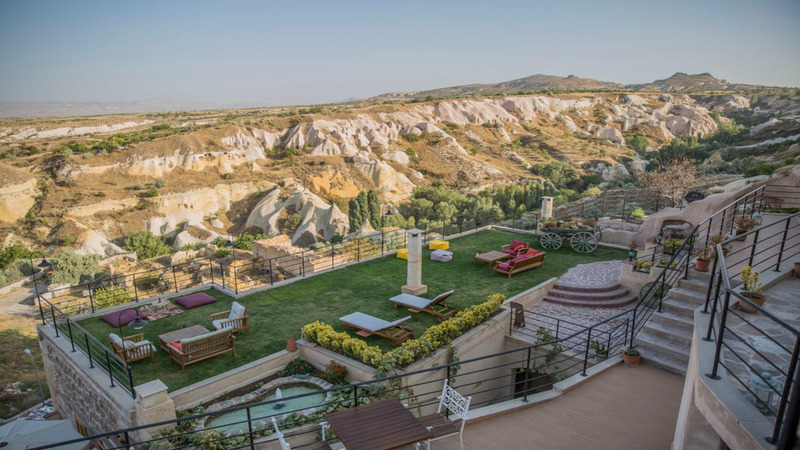 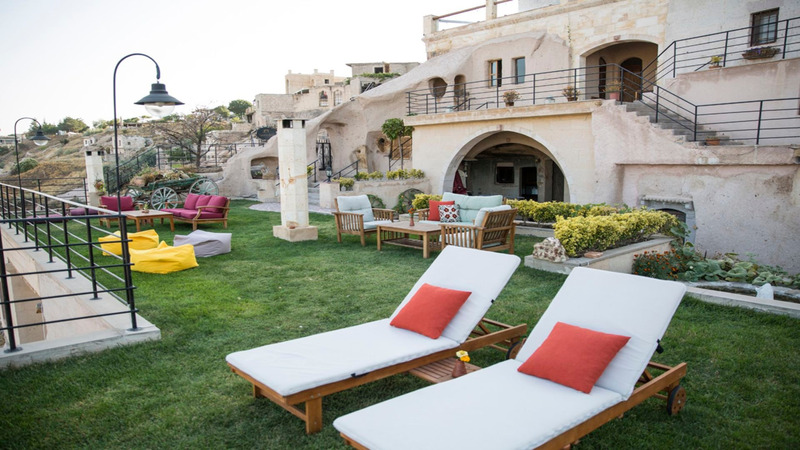 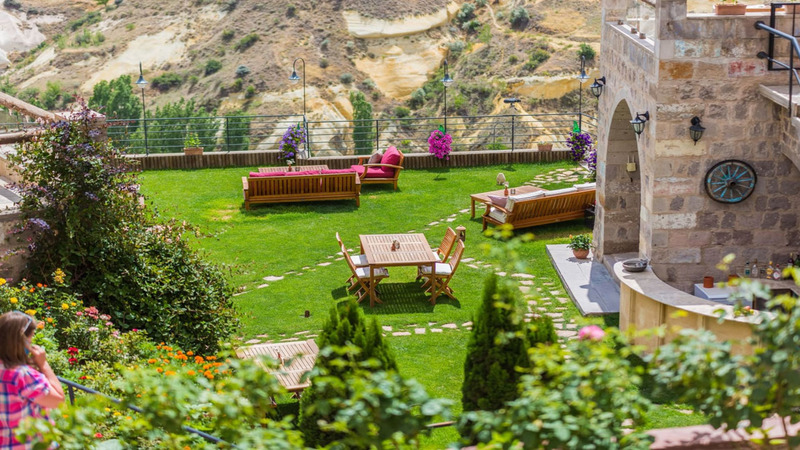 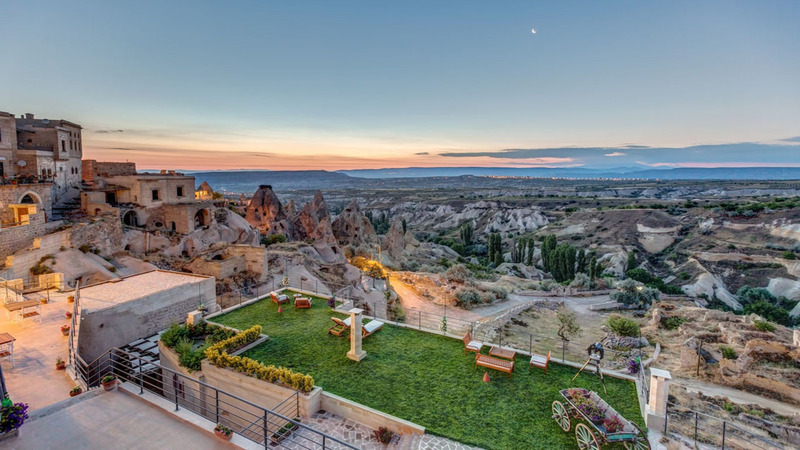 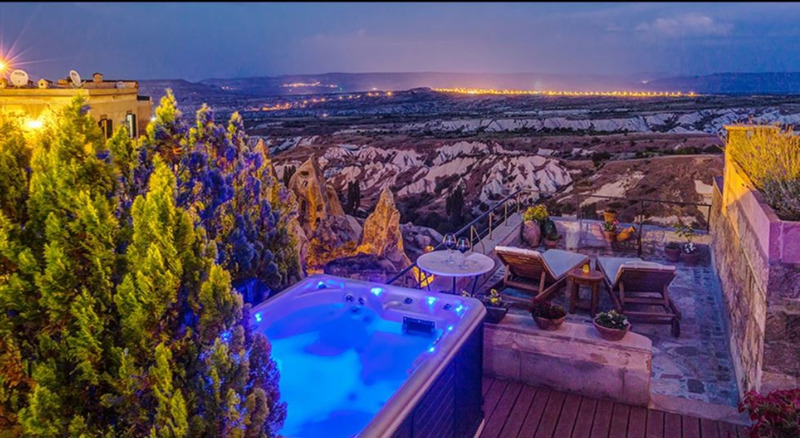 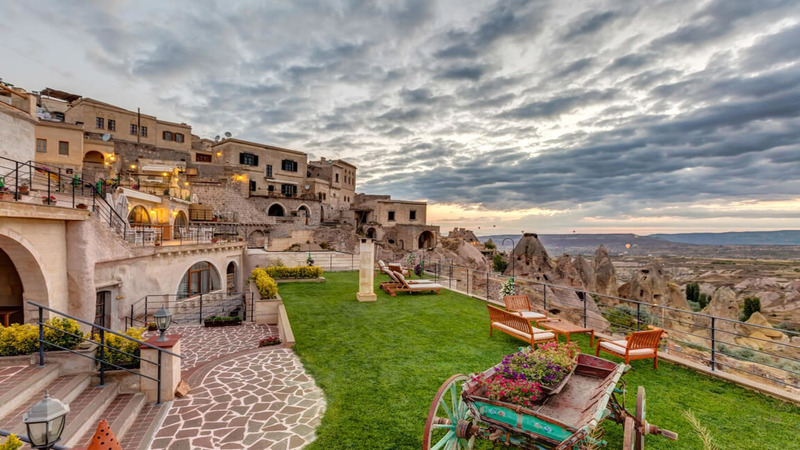 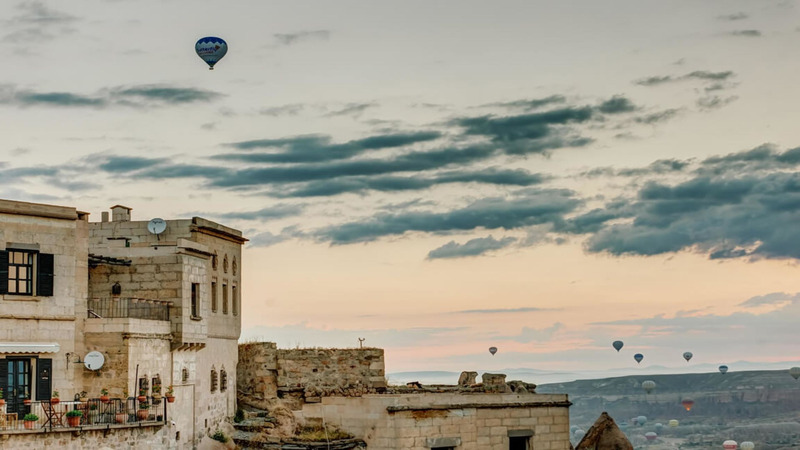 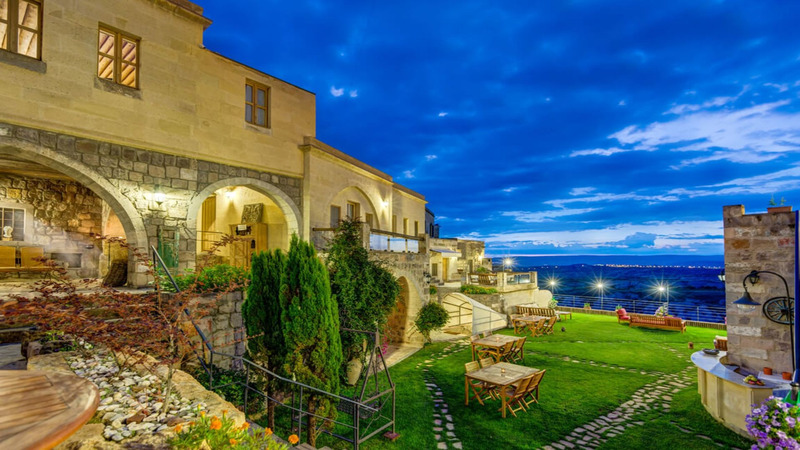 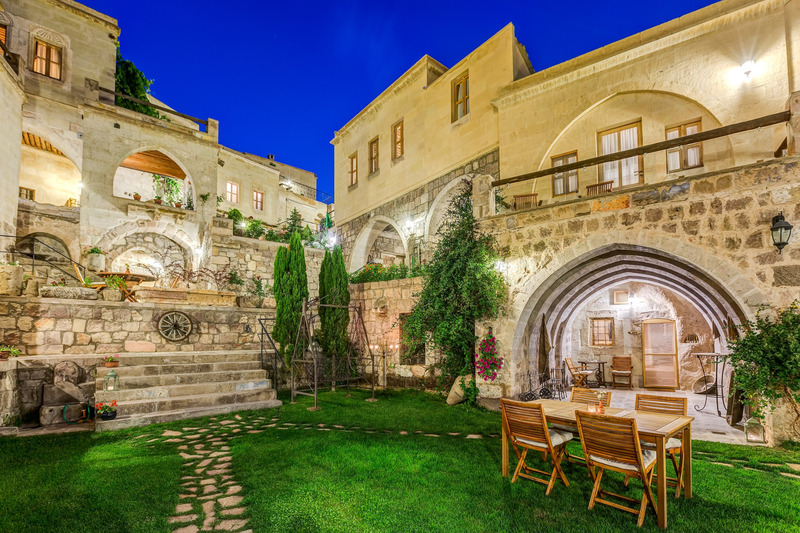 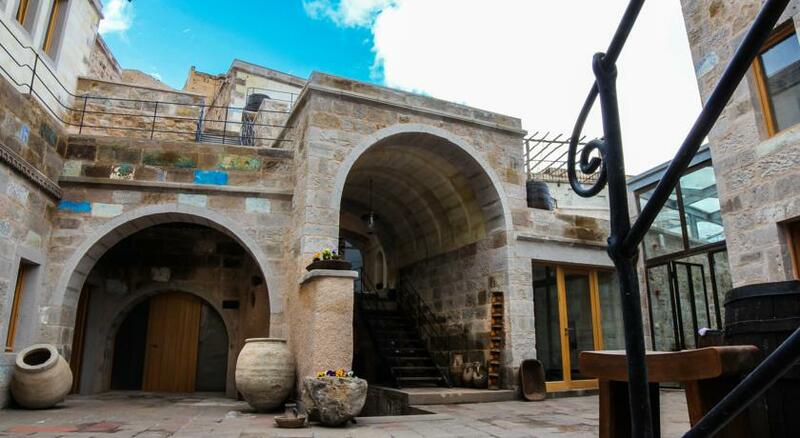 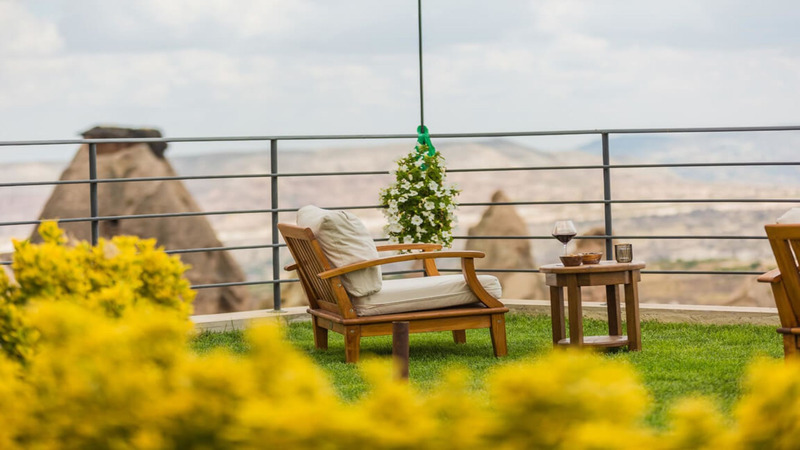 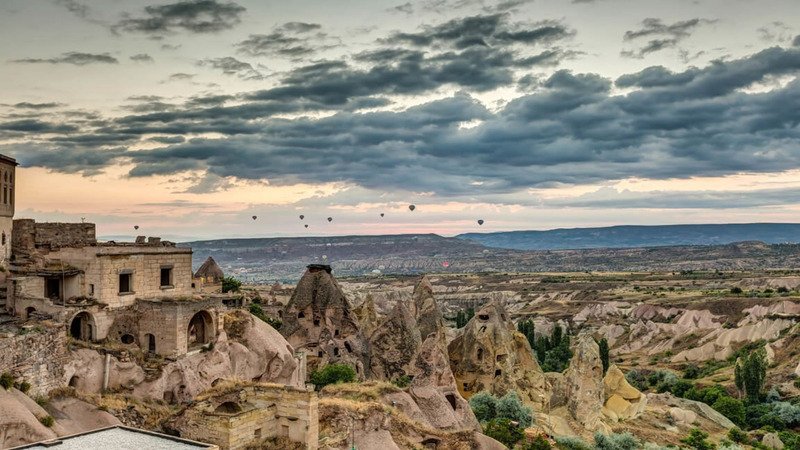 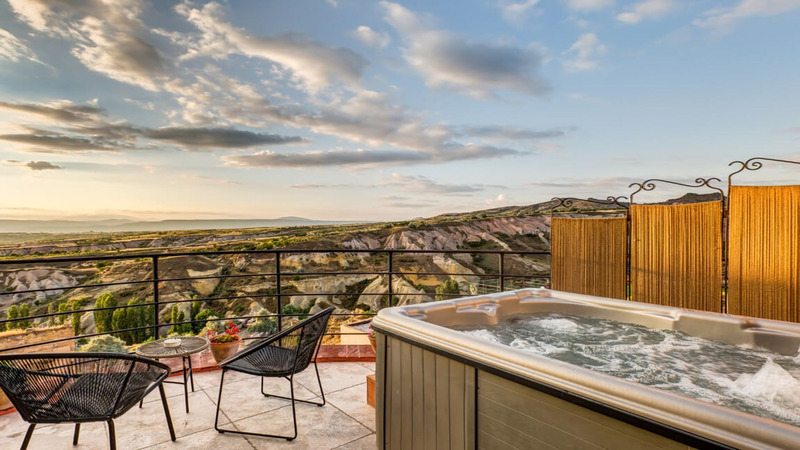 Taşkonaklar Hotel is a beautiful cave hotel located on the slopes of Güvercinlik Vadisi (Pigeon Valley) in Uçhisar, Cappadocia. 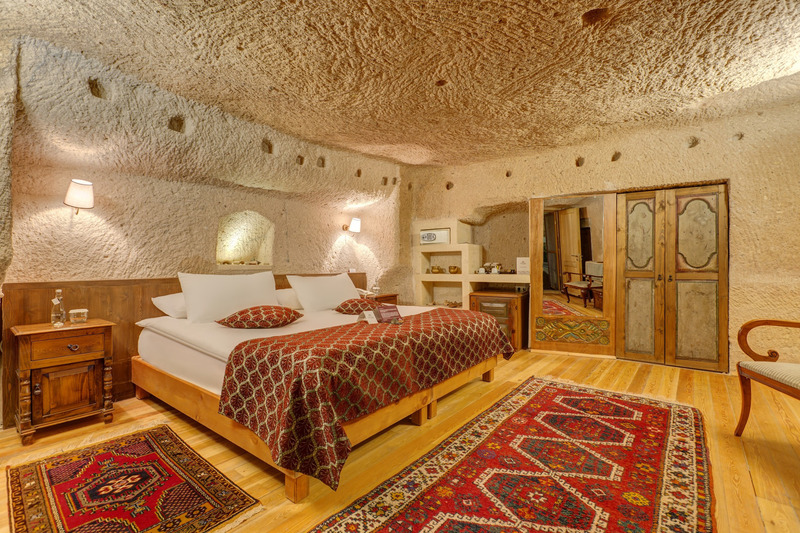 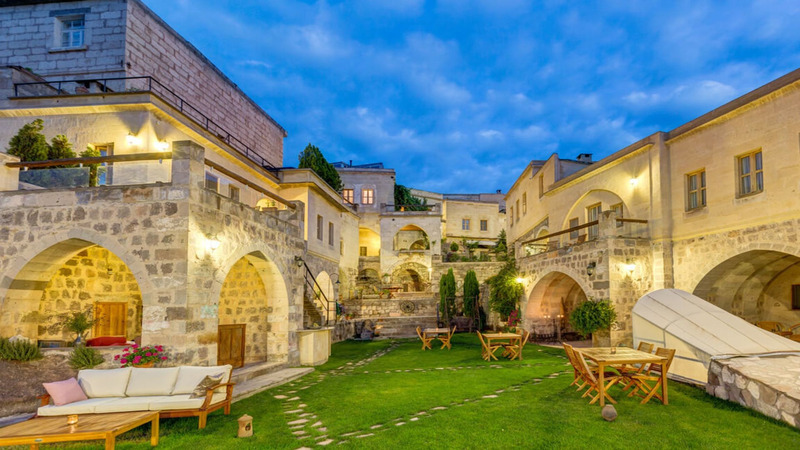 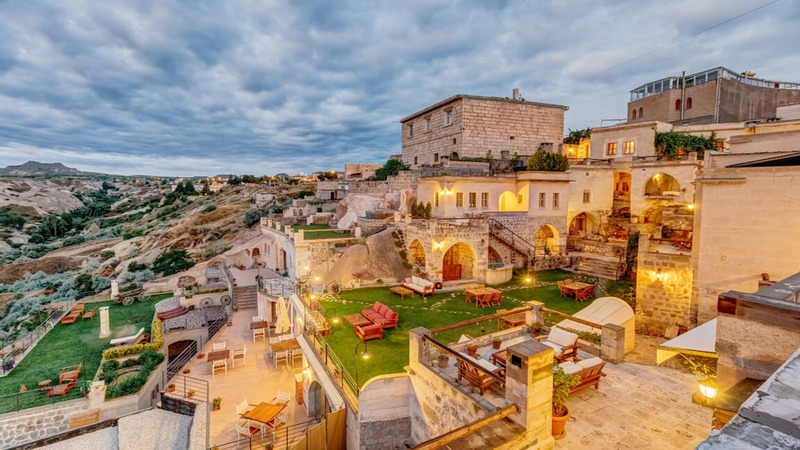 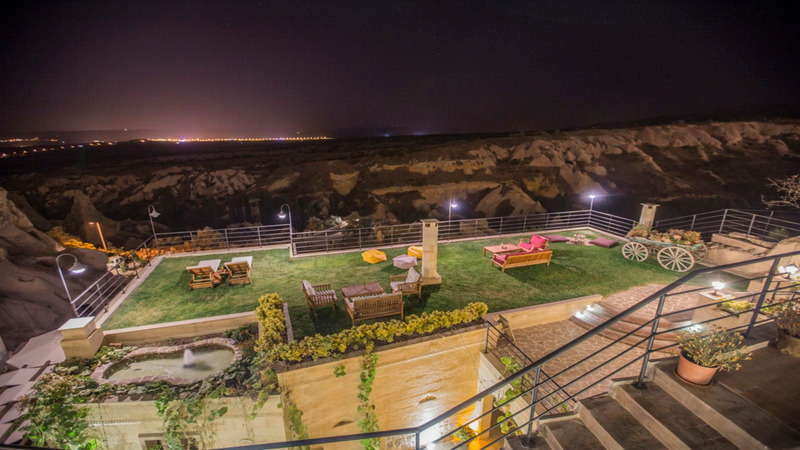 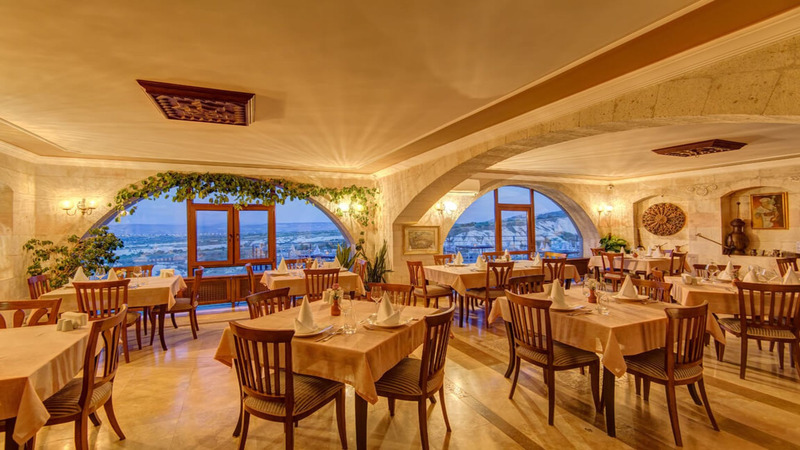 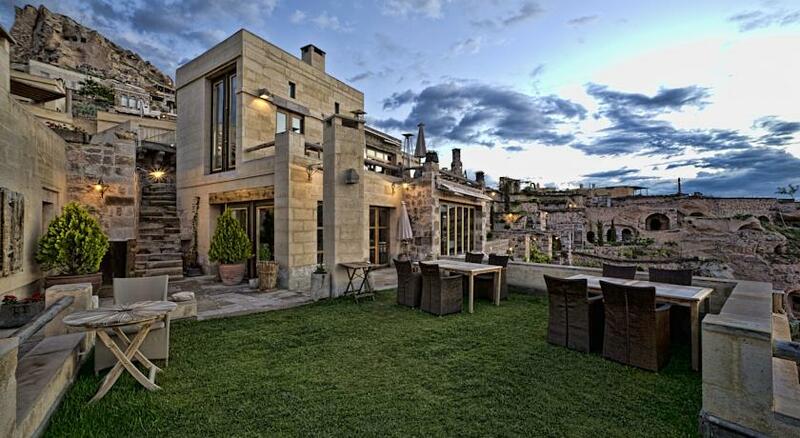 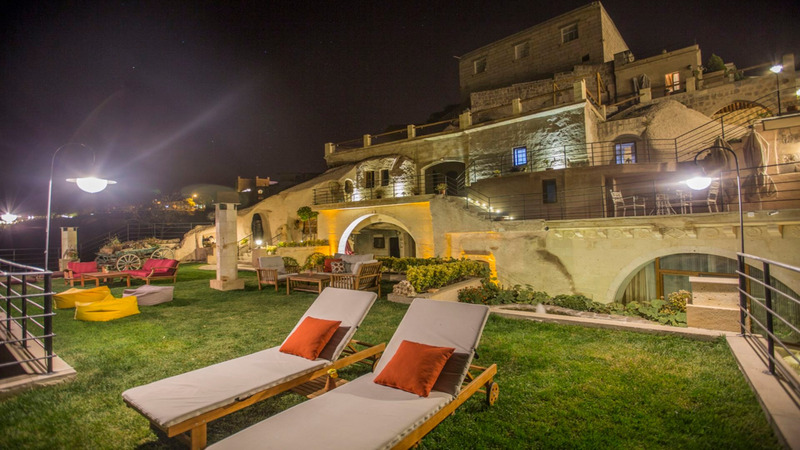 The hotel was created from historical mansions and caves during years of meticulous renovation. 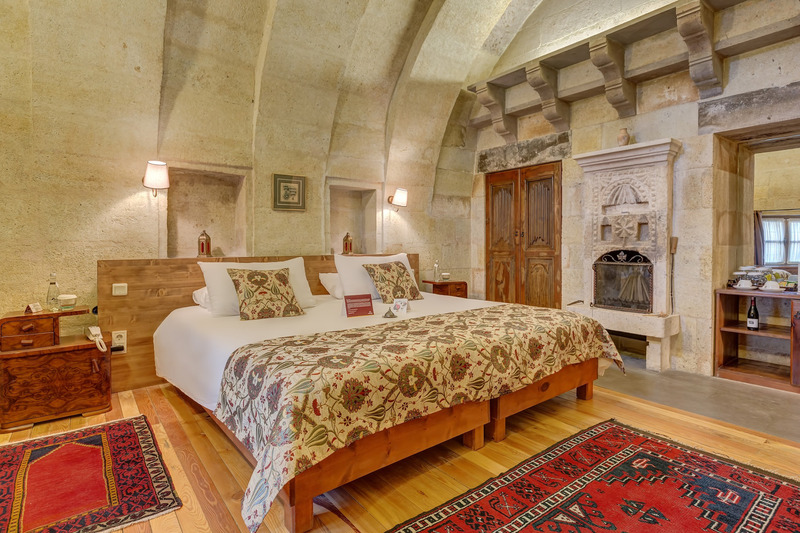 The hotel has 23 rooms, all different from one another, featuring original stonework, fireplaces and arches and were kept as true to the original architecture and features as possible during the renovation. 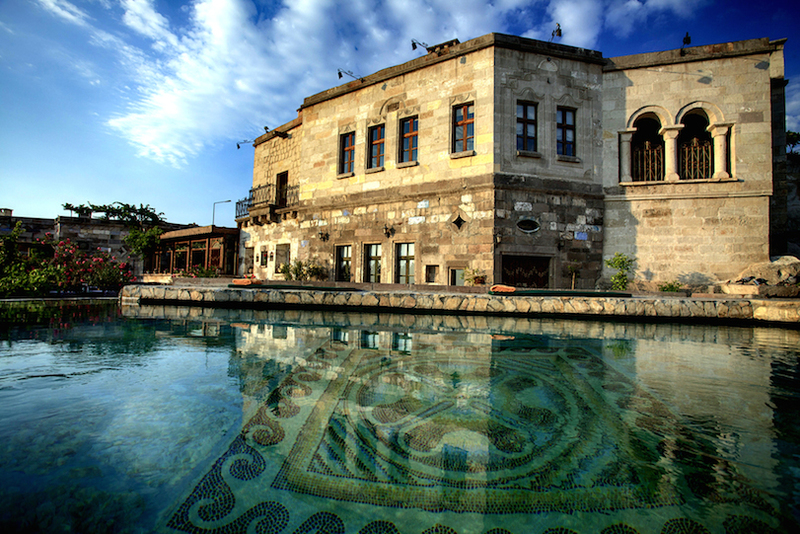 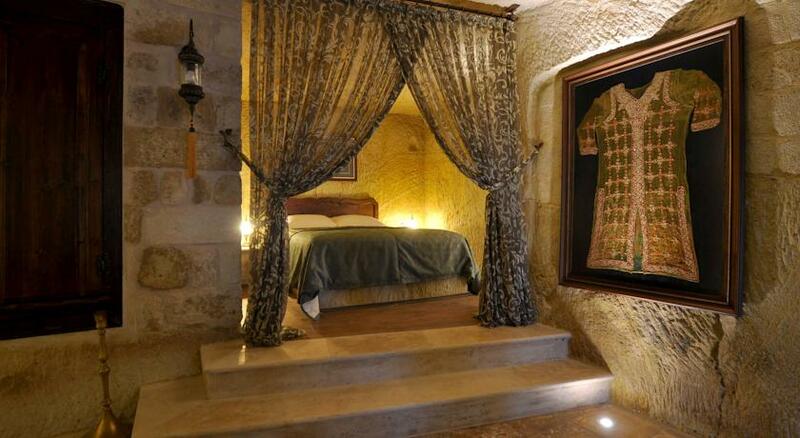 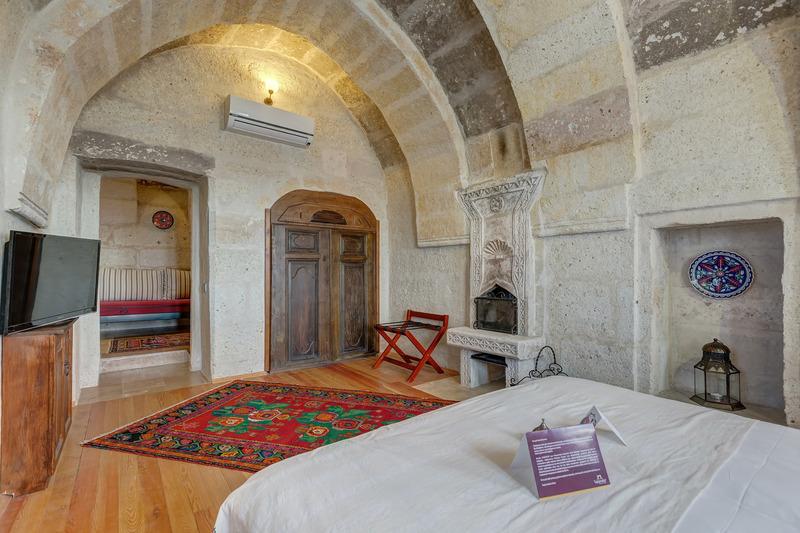 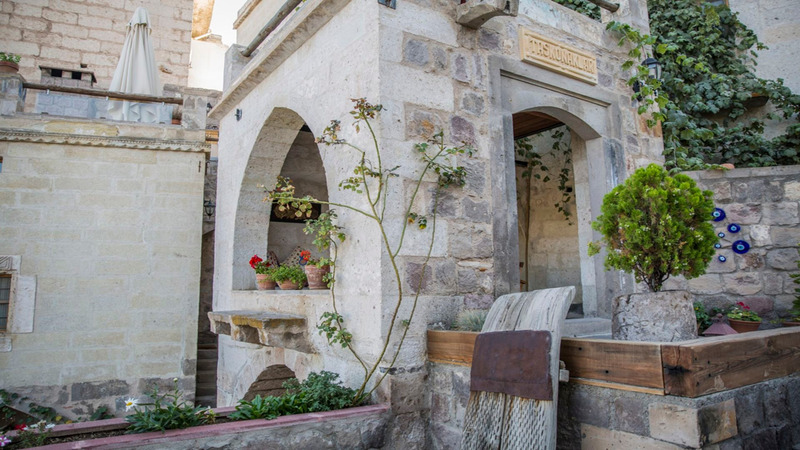 All of their rooms feature Anatolian carpentry and ornaments, antiques and handwoven carpets. 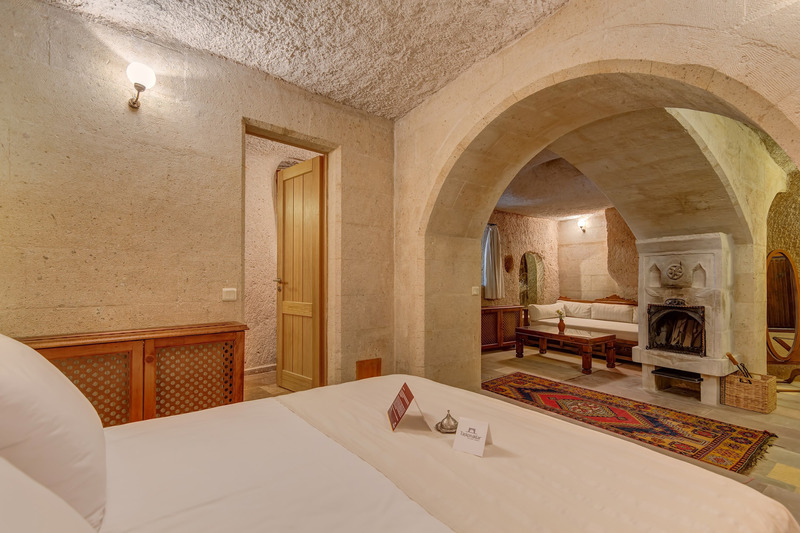 With its authentic mood and decoration as well as it’s charming atmosphere, Taşkonaklar offers you a mysterious and unforgettable vacation. 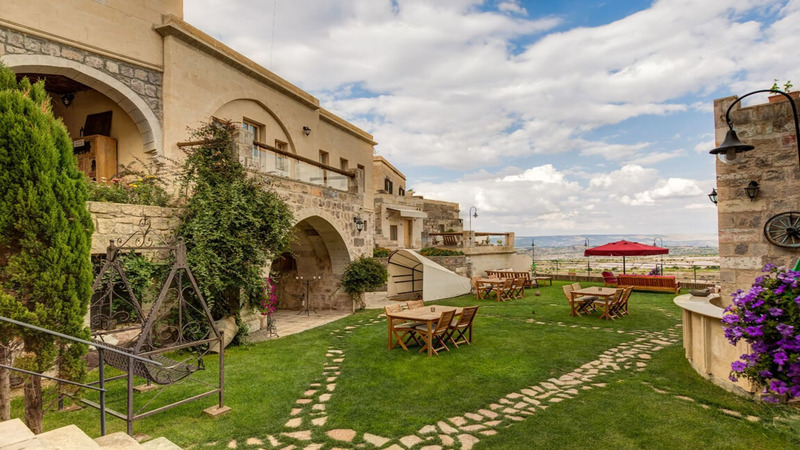 Taşkonaklar is also a great location for special celebrations or company events in our functions room with a fireplace and our outdoor and indoor restaurants.